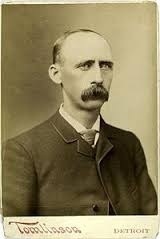 This last week player Deacon White was inducted into the Baseball Hall of Fame. He is the great Grandfather of a man in my church, Jerry Watkins. 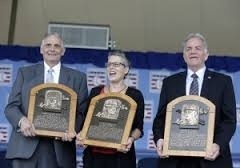 Jerry had the opportunity to give the speech at the induction ceremony in Cooperstown. He did a great job and he should be proud. Most people know I’m not an avid sports fan. But this was a moving tribute from a great grandson for a man he never knew. And as I’ve thought about it the past day or so, I began to think about what my great grandkids will say about us. Have you ever wondered that? What is the legacy you’re leaving behind? And so, from Jerry and “Deacon’s” example, I came up with this list of 5 things we can do to make our grandkids proud! 1) Be a professional sports star! It’s just awesome to have someone in our family someone who is a cultural hero. What little boy wouldn’t look up to such a grandpa? Okay, so it might be too late or you may not have the gifts or opportunities for such achievement. What else can we do? Suggestions 2 to 5 may be more appropriate for you. 2) Be good at what you do! Deacon played baseball in a day when no one wore baseball gloves. He was a catcher. He had a record of being good at what he did. Whether you’re a business man, a janitor, or a preacher, or a stay-at-home Mom. There is honor in honing our skills. There is a lot of mediocrity in our world. People who do their thing well make a mark. People remember them. And it is part of leaving a legacy of a good name. 3) Distinguish yourself from the crowd. Deacon’s name wasn’t Deacon. His name was James Laurie White. His teammates gave him the nickname Deacon. He had a reputation for being different. 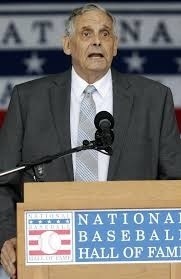 In a day of rabble rouser baseball players; he read the Bible; he didn’t cuss at the umpires; he didn’t drink alcohol. Instead of making the baseball culture making its mark on him, he made his mark on baseball. We leave a record to be honored, when we do what we do differently from everyone else. 4) Live for a bigger purpose. Deacon loved baseball, but his life was about something bigger than baseball. This was important because after baseball he lived another 50 years or so. He was a Christian. He raised his family to know and serve Christ. He lived a whole life of serving God by serving others. 5) Start young. Deacon didn’t wait to become a grandpa before he started building a legacy. He did it as he made the first professional baseball hit ever at the age of 23. Legacies aren’t built at the end of our lives. They are built throughout our lives. Now, if you think you’re past your prime. All I can say is, start now! And give your grandkids something new to be proud of. There are good and bad examples all around us of grandparents who leave an impact for good or ill. Like Deacon, we can live a life worthy of commendation by those who come after us. It probably won’t be a moving speech like Deacon got, but it will be a comment, a memory shared, and a word of thanks to God for your life and legacy. Thanks Jerry for sharing your great-Grandpa with us! Thank you for reading and for sharing! Follow by email and you'll never miss a post. Is your faith lifeless? You might be looking through the wrong lens.